Founder Jasmine Garnsworthy approached me to develop the visual identity and packaging design for her new natural skincare brand, THE BUFF. Since the launch in late 2016, The Buff has been stocked in Urban Outfitters, Riley Rose, and Chillhouse + featured in Vogue, Harpers Bazaar, and Refinery29. Simple and minimal allowing the brands' colorful packaging and modern vibe to shine. 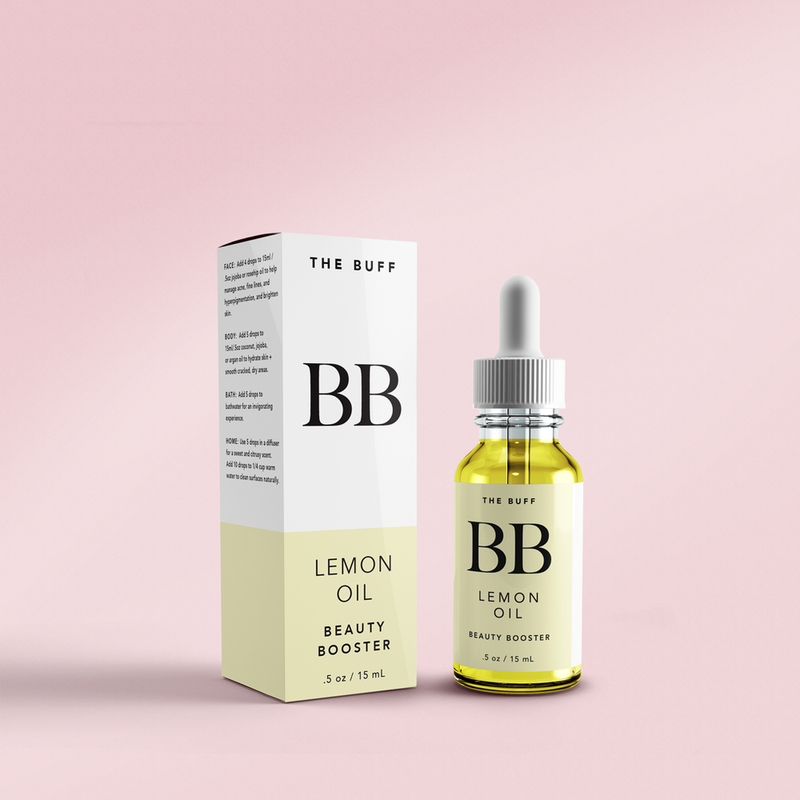 Packaging design for THE BUFF pre-blended beauty oils. Simple, minimal labels that can be customized and monogrammed. Choose your color, choose your monogram. 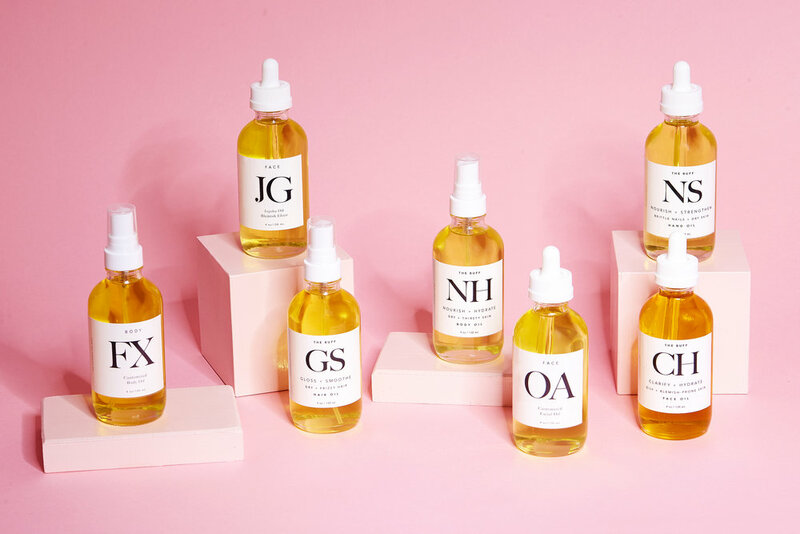 Beauty Booster oils designed exclusively for UO. A downloadable guide to blending your own beauty oils. 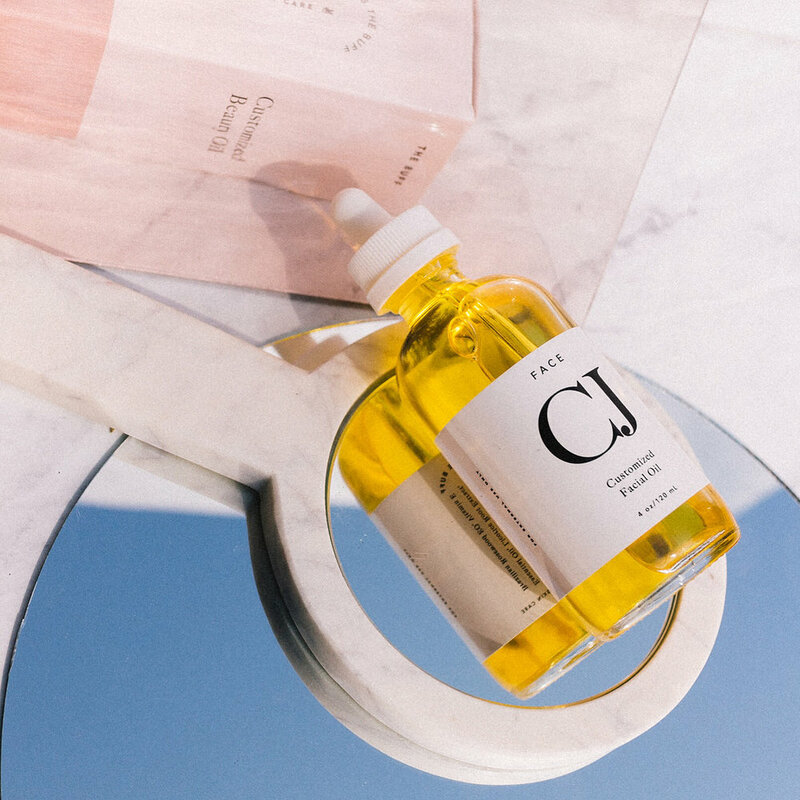 'How to customize your beauty oil' Instagram slide graphics.